For anyone who doesn’t know any better, Poland is pretty great. With beautiful cities all over the place and prices around half of what you’d expect to pay in Western Europe, Poland is a budget traveler’s paradise. It’s getting more and more popular along the backpacker circuit (particularly the party hotspot of old town Krakow), but even so, it remains comparatively quiet, considering all the old-world charm (and spectacular vodka) that’ll greet you at every turn. And this isn’t even one of the famous places. Part of the reason it’s such a positive memory for me is that years later, I met an American guy who had never been to Poland, and had grown up on American playgrounds, hearing Polish jokes all time, poking fun at his culture. He had no idea what it was really like. All I wanted to do was share what made Poland so enjoyable for me, and inspire him to go visit. I think I succeeded. There are a million fun things to do in Poland, and although it’s becoming an increasingly popular expat destination, it’s also huge, so it’s easy to get away from the crowds. There’s lots to explore, lots of places to see, lots of pierogis to eat, lots of vodka to drink. And you thought the Eastern bloc was all drabby grey concrete blocks, didn’t you? DIDN’T YOU?!?! There’s a reason this is one of the most popular cities in Central and Eastern Europe, and for a lot of visitors to Poland, this is their only stop. It’s not how I like to travel, but it’s easy to see why. Krakow is one of the not-so-many cities in the region that didn’t get flattened by Team Hitler. The old town is a UNESCO World Heritage Site, with many buildings dating back hundreds of years, including many of the major sites, such as St. Mary’s Basilica and the massive Cloth Hall on the town square, and Wawel Castle up on the hill, all of which date back to the 14th century. But for plenty of visitors, it’s not so important how old things are, but how drunk they can get. And Krakow knows how to deliver, with some of the highest numbers of bars per capita of any city anywhere in the world. From tiny hole-in-the-wall places to snazzy jazz bars and fancy clubs, there’s evening entertainment all over the place. But it’s also authentic bar culture, due to the massive student population, unlike some of the seedier nightlife in other former Eastern bloc countries. Krakow is often referred to as “the next Prague” for its similar combination of comparatively cheap prices, lively bar culture, and nearly millennium-old architecture. It’s absolutely spectacular. The world knows it, but it hasn’t lost its charm. Which is why it’s still called the next Prague, rather than another Prague. PS: Krakow is obviously the sound of a spaceship laser gun. Just ask Calvin. For people who failed to seize the day the night before, or who had such a great time they want to seize another one. Photo by Rj1979. People will tell you this is something that happens in Eastern Europe, but in reality, it’s something that happens everywhere on the planet. If you’re not cool enough to be in the club, they won’t let you in. But it’s a little different in Eastern Europe, where it’s actually called Face Control, thus implying that the reason they won’t let you in is because they don’t like your face. My only experience with this was in Warsaw, where the bouncer let us know the club “wasn’t open yet.” In his defense, it was only 9pm. If they tell you it’s “full,” just ask if there’s another bar in the area they could recommend instead. That last one worked like a charm. Accept no substitutes. Photo by Jojo. If Poland is famous for anything, it’s for vodka. And they do this very well. 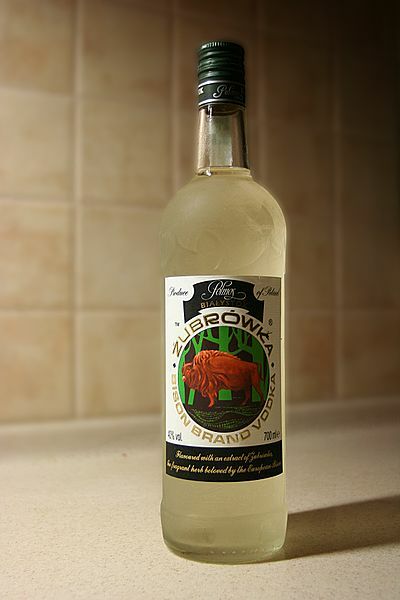 One of the most famous Polish vodkas is Żubrówka Bison Grass Vodka, which is spectacularly good, and totally illegal in the United States. Apparently there’s a compound called coumarin in the grass used to flavor the drink that has potentially toxic effects. Apparently no one took the time to consider the fact that alcohol will totally kill you too. Seriously, they banned a drink because it has trace amounts of harmful substances? It’s 40% alcohol! The alcohol will kill before the grass ever does!!! Okay, rant over. I get very upset over my inability to purchase amazingly good vodka. But if you go to Poland, be sure to give this a try. It’s actually so good that you can drink it straight from the bottle. Well, I can, anyway. But it’s also mixed into cocktails along with apple juice, ginger ale, or other things. It’s a distinctively Polish treat, and one of the very few things on the planet that hasn’t been made universally available through globalization, so it might be the only time you can ever sample the magic. There are knockoffs available in the States (which, let me tell you, are absolutely horrible), as well as a coumarin-free version produced by the real company, but there’s no substitute for the original. Mmmmm. Let me describe to you the most ingenious idea for reviving the fortunes of an old mining town once the mine has run out: Make it a tourist attraction! And that’s exactly what the Wieliczka Salt Mine has become. You wouldn’t imagine that a museum dedicated to people digging for salt would become a popular tourist draw, but that’s exactly what it is. It’s an easy day trip from Krakow, and it’s just great. The mine itself was in continuous operation from the 13th century up until 2007, and nowadays it sees over a million visitors a year, who take the tiny elevator down into the depths and explore the “buildings” inside, which include chapels, statues, and even a whole cathedral carved out from the rock. 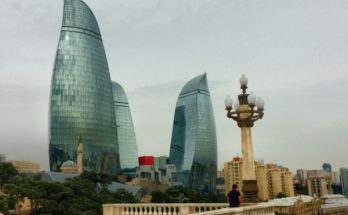 It’s fascinating, and entirely different from the usual pretty buildings that make up most tourist itineraries. There’s plenty of beauty here too, of course, but it’s interesting to walk through something that was a real work site for hundreds of years. And for most of that time, no one had flashlights. Visiting the Auschwitz concentration camp is quite an experience. So it’s not all fun and games in Poland. In fact, most of Poland’s recent history has been anything but fun, and nowhere is this painful history more visible than at Auschwitz. I’ll save sharing my experience visiting Auschwitz for its own post, but suffice it to say it’s something of a disquieting experience, though I’ll make the quick point that it was a massive tragedy for huge numbers of non-Jews as well. The (required) tour provides a great deal of information, taking the visitors through the showers and ovens, and other exhibits built later. Particularly striking were the shoes, collected by the millions, and now piled behind a glass display. Every pair was a person. You can see which ones were the kids, the men, the women, and you start imagining stories, personalities, families, friends, and everything else that a real person has. Of all the things to see in Poland, Auschwitz is a must if you’re anywhere in the area. It’s an easy day trip from Krakow, though the camp is large enough that the visit plus the drive will take several hours. Enter Sandman. Photo by Kapsuglan. No one will have any idea what’s going on. Over at the Słowiński National Park in northern Poland, it looks just like the Sahara. You can take beach-like photos and annoy your buddies who thought you were going to a frozen wasteland because that’s all they think Poland is. Yay! Campsites and hotels offer accommodation for those wanting to stick around a bit longer, and walking trails lead you through the park. Aside from the sand, there are forests as well, so it’s a nice place for the outdoorsy types to enjoy in between city visits. Malbork, the brickiest brick fort in all of brickdom. Despite the fact that most people associate castles with Western Europe, and their only image of Central and Eastern Europe is communist propaganda and bread lines, this part of the world has been at war with itself for thousands of years, and thus…castles! Easily the most visited is Wawel in Krakow, since, well…it’s in Krakow. And no amount of vodka-induced hangover can keep people away. But there are plenty of other castles in Poland, some easily accessible, some a bit out of the way, and they’re all pretty great. I mean, all castles are great. If you disagree, go away and hide in a cave forever. #2 is Malbork Castle, which also happens to be the world’s largest brick castle, just outside of Gdansk, way up in the north. It’s a popular one as well, and a great day trip from the city. Lesser-known Polish castles include Książ (which is absolutely spectacular), plus the ruins of Chojnik and Krzyżtopór. And I’ll always vote in favor of visiting an out-of-the-way castle, since then you can get it all to yourself, and it’s amazing. Seriously, what would you have thought this was? Photo by Reytan. So I know this is a bit of a dumb suggestion, since it’s not that big a deal, but I love discovering distinctively local things, and “cheese that kinda looks like a neck massager or something” is something I’ve only ever seen in Poland. And I had a lot of it. This smoked, salted sheep’s cheese, made exclusively in the Tatra Mountains of southern Poland, and known as Oscypek, is sold all over, and makes for a nice backpacker snack that’ll last for a while and give you plenty of calories when you’re dumbly stuck in the middle of some train station layover town out in the semi-wilderness. It never happened to me, I swear. Shut up. I almost feel bad eating it because it’s so decoratively carved, but then I bite into it and I don’t feel bad anymore. Mmmm, mountainy. Photo by Ogrodnik. The Tatra mountain range offers spectacular hiking opportunities to fans of the outdoors, with beautiful forests, craggy peaks, tranquil lakes, and diverse wildlife. And I was far too exhausted to deal with any of that. Night trains take a lot of out a person, and dammit, I was tired. But I did hike in the Slovakian Tatras, and that was pretty neat. They’re the same mountains anyway. That’s my excuse! But if you love the mountains as much as I love a good bottle of vodka, there are hiking opportunities all over southern Poland, particularly around Zakopane. If you’re feeling particularly adventurous, there’s Orla Perć, which is considered the most challenging and dangerous of any hike in the Tatras. Newer developments in Zakopane, though I stayed in a place that was somewhat similar, though older. This is a tradition that might not be around forever. Back in the day (and that day is still somewhat here), tourist infrastructure was insufficient all over Eastern Europe, and many countries encouraged citizens to rent out a spare room to visitors. It’s the original AirBNB! Well, not the original, but…whatever. It’s actually pretty neat. I was only able to do this a few times, and it’s really all over the place in terms of accommodation quality, and it’s not like you can see the room ahead of time (though you can say no once you get there), but come on, staying in an old Polish lady’s house? How can you say no?!?! They hang out at the train stations in some of the smaller towns, holding signs that say “room” in several different languages, and although the language barrier was practically insurmountable (it helps if you speak German), they were always friendly, helpful, and happy to have a guest. And just like any mom, the Polish lady that hosted me in Zakopane offered me a cup of tea before bedtime. Prices are similar to budget hotels or hostels (which, in Poland, can be very cheap), and it’s a great chance to get a look at “real” life, which is so often completely invisible on the backpacker trail. I enjoyed it every time. Don’t expect a fancy shower, though. Expect an authentic cultural experience. And a new Polish mom. Share your favorite things to do in Poland! So this was just my personal list, which should be rather obvious given its 10% vodka ratio, but I can’t possibly list every amazing Polish activity out there. If you’ve got any things to do in Poland that you’re dying to share, share ’em, and I’ll get to them on the next trip. Eventually. He is totally right, the tatra mountains are incredible, besides the old block communist structures, Poland is full of beautiful architecture, especially in Krakow, There is also great fishing, snowboarding, and yes I agree the bison grass vodka toatally is incomparable… totally Delicious. I have a year work study visa and coming from america it is quite a culture shock, but you would be surprised how welcoming a place poland is… Viva la Polksi! Dovidsenya! Of all the websites I’ve been to get recommendations on things to do/see in Poland, yours is the best! Very authentic and down to earth, exactly what i’m looking for. Excellent website! I hope to get to Poland soon. You forgot the charming Jewish District near the square. Can’t miss it when visiting Krakow! It’s definitely a great place to visit. I live in Poland and I really liked the way you wrote about the interesting facts about Poland and the places to visit. I like your open minded approach and no judging which you normally hear on the streets even from Poles. I am one…and I haven’t seen most of the places you have described. I think I might consider doing that after your descriptions! If you ever visit Wroclaw or Opole you should get in touch! Thanks. 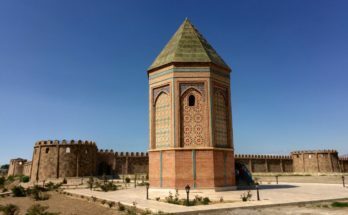 It can be tricky writing about other cultures, because there’s the potential for misunderstanding, so I try to put some extra effort into getting everything just right. On the subject of Zubrowka vodka: it’s in lots of liquor stores in Ontario, Canada. So if you’re in the States but close to the border and have a hankering, it’s worth a drive over the border. $25 (Canadian dollars…at the moment of writing this, that’s $20 USD) for a full-sized bottle. And it is AMAZING. My Polish piano student’s parents have bought this for me at Christmas every year for ages. Also, the border people won’t check which brand of vodka you are bringing back into the States. Now go forth and drink Zubrowka! That is a thing I will do. Oh yes indeed. Being Polish I really enjoyed your outlook on Poland. Personally, I feel that Poland is underrated, though I have a bias, and you captured some qualities that most people do not pick up on. I think you have a fantastic list, but definitely need to check out some of the music festivals if you are ever back in the PL. Some notable ones are Heineken Open’er, Przystanek Woodstock, & Coke Live Festival (which I am going to this year). While every country has music festivals I think the Polish ones are worth a visit because they are low priced and always a riot. I’ll definitely try to take a look the next time I’m there, if it’s the right time. That Dachsund festival in Krakow was pretty fun, though. Really enjoyed the piece. I’m thinking of doing some travelling in southern Poland soon and was intrigued by number 10 as an accommodation option. I’d be really grateful if you could give me an idea of which cities in particular you found these lovely ladies in. How widespread a phenomenon is it? If I were to just rock up at a station, are the chances pretty high that I’d see one? It’s much more available in small towns. I stayed at an old lady’s house in Zakopane, but I don’t think it’s a realistic option in places like Warsaw or Krakow. 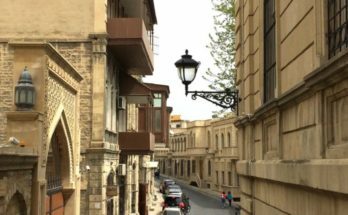 It’s easiest in smaller places that are still important tourist destinations, rather than cities that have plenty of hostels and hotels already. You can buy Zubrowka Vodka at any BevMo now. Mix it up with apple juice and you’re in heaven. Well there goes my weekend. Hi i am hoping to go to Poland next year, and i would absolutely LOVE to stay at an old lady’s place, its on my bucket list except how do i stay? You mention going to a train station but i find that risky if no one were to be there… any other ways? I would expect certain places might try to organize this, so there would be a way to deal with it through a tourist office of some kind, but I don’t know which places do that, or how well. So really you just have to show up in a town and hope for the best. But as long as you have somewhere else to go in case it doesn’t work (whatever hotels you find, for example), then it’ll be fine. Thanks for your write-up, it’s given me a few more ideas to string together. Love the fact you mentioned some out-of-town things as well rather than just the highlights as I’m planning a 10-day tour through Poland on my motorbike in May/June this year and always prefer heading away from cities than towards them. I hope the little old Polish ladies are like the little old Czech ladies: stayed with one for a night a couple of years ago and it was awesome! I still remember the food.. Mmmm! I stayed at a Polish lady’s house in Zakopane, which was really nice. I came in late, and she brought me a cup of tea, like I was a house guest, rather than a hotel customer. Really great.